On Thursday, February 7, 2019, members of the GBI West Metro Regional Drug Enforcement Office, GBI Region 1 Calhoun Office, Polk County Drug Task Force, Floyd-Rome Metro Drug Task Force, Polk County Police Department, Polk County Sheriff’s Office, and Cedartown Police Department executed four search warrants concluding an 18-month investigation. As a result of this investigation, over nine pounds of methamphetamine, three ounces of heroin, 18 firearms, and 18 prescription pills were seized. Eric Daniel Campbell – age 41- Trafficking Methamphetamine x 2, Possession of Firearm by Convicted Felon, Possession of Firearm during the Commission of a Crime- Arrested 02/07/2019. Harley Eugene Brown – age 24- Conspiracy to Traffic Methamphetamine. Arrested 02/07/2019. Aislinn Yvonne Haney – age 35- Conspiracy to Traffic Methamphetamine. Arrested 02/07/2019. Johnny Shane Oswalt – age 40- Conspiracy to Traffic Methamphetamine, Possession of a Firearm by a Convicted Felon. Arrested 02/07/2019. Robert Anthony Mckee – age 35- Conspiracy to Traffic Methamphetamine. Arrested 02/07/2019. William Rutledge – age 45- Conspiracy to Traffic Methamphetamine. Arrested 02/07/2019. Tiffany Star Hooper – age 39- Conspiracy to Purchase Methamphetamine. Arrested 02/07/2019. Wendy Miranda Hammonds – age 34- Conspiracy to Possess Methamphetamine. Arrested 02/11/2019. Christopher Wayne Truett- age 52- Conspiracy to Receive Stolen Property. Arrested 02/07/2019. Christopher Wayne Truett Jr. –age 32- Conspiracy to Traffic Methamphetamine. Arrested 02/07/2019. Sandra Cook-age- 52- Trafficking in Methamphetamine. Arrested 02/07/2019. Billy Jack Hickson-age-32 Trafficking Methamphetamine. Arrested in Bartow County 01/17/2019. Chrescent Taylor-age 31- Trafficking in Methamphetamine. Arrested in Bartow County 01/17/2019. Ashley Louis-age-33- Trafficking in Methamphetamine. Arrested in Bartow County 01/17/2019. Christopher Prevant-age 29- Trafficking in Methamphetamine. Arrested in Baldwin County on 01/30/2019. Oscar Mondragon- age 23- Trafficking in Methamphetamine. Arrested in Cobb County on 01/07/2019. Jamie Jeanine Forrister – age 39- Conspiracy to Possess Methamphetamine. Arrested 02/12/19. Stephanie Michelle Radford – age 39- Conspiracy to Traffic Methamphetamine. Wanted. Charles Kenneth Cook – age 35- Conspiracy to Traffic Methamphetamine, Possession of Explosive Devices with Intent to Distribute. Wanted. Demetrius Antwon Brown – age 36- Conspiracy to Traffic Methamphetamine. Wanted. Robert James Shoemaker – age 39- Conspiracy to Traffic Methamphetamine. Wanted. Michael Horace Bailey – age 47- Conspiracy to Traffic Methamphetamine. Wanted. Other charges and arrests are expected as a result of this investigation. 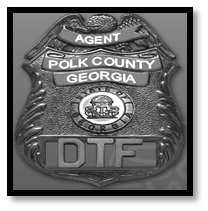 During the course of this investigation, the West Metro Regional Drug Enforcement Office was assisted by the following agencies: Georgia State Patrol, United States Postal Inspection Service, GBI Southeastern Regional Drug Enforcement Office, GBI Appalachian Regional Drug Enforcement Office, Georgia Department of Corrections, Haralson-Paulding Drug Task Force, Ocmulgee Drug Task Force, and the Polk County District Attorney’s Office. The GBI West Metro Regional Drug Enforcement Office is located in Carrollton, Georgia and services 40 counties. The office is comprised of members from the GBI, Carrollton Police Department, Villa Rica Police Department, Bowden Police Department, Lagrange Police Department, Newnan Police Department, Atlanta Police Department, Carroll County Sheriff’s Office, Fayette County Sheriff’s Office, and Heard County Sheriff’s Office.